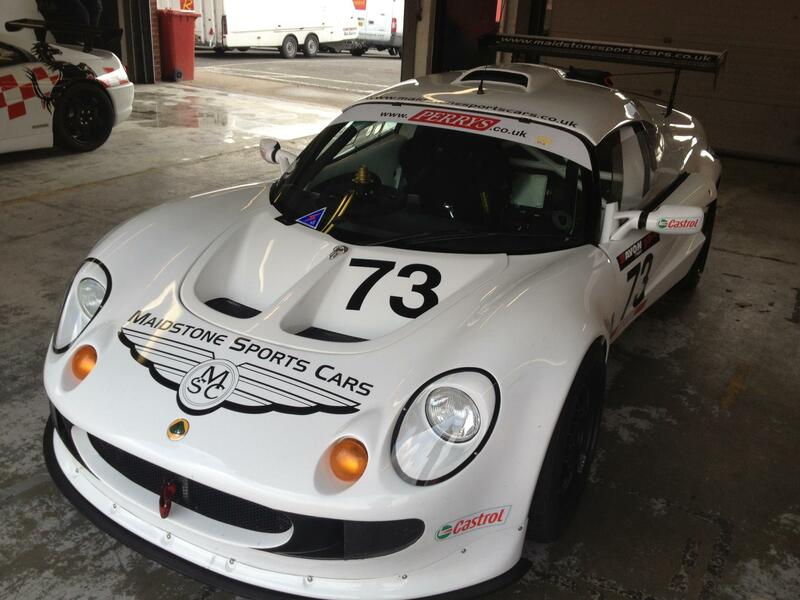 Ahead of this weekends opening round of the 2013 LoTRDC Elise Trophy and Lotus Cup UK season we took the opportunity to put a few questions to Andrew Marsh of Maidstone Sports Cars, who returned to the LoTRDC series in 2012 with their Honda powered S1 Exige. MSC Exige sported a Damien Hirst designed livery for 2012. The team impressed on its return, with not just a trio of wins but also grabbing headlines with a Damien Hirst design livery, so we were keen to find out why they came back to race in the Lotus Cup UK, their latest developments, and their plans for the year ahead. 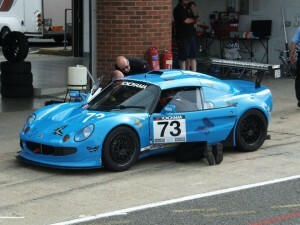 SELOC: Last year saw you return to the LoTRDC with an entry in the new Lotus Cup UK series after a few years out. What racing had you been involved in in the meantime, and what prompted your return? Andrew: Having been heavily involved in the inaugural year of the Lotus on track Elise Trophy back in 2007 where Maidstone Sports Cars concentrated on the Class B and C cars where our Honda converted cars were the ones to have if you wanted to win overall honours. We continued to develop these cars until the modified cars were banned at the end of the 2009 season. Obviously we were left with customers who had some very competitive Honda powered Elise/Exige’s but with nowhere to race. We were subsequently contacted by one of our customers to prepare his Honda powered Lotus Elise car to race in Britcar. At the end of the 2011 season, it was agreed that we would not continue to run in Britcar so we looked to return to our roots in the Lotus paddock. With Lotus Cup UK now having an open class where Honda powered cars were again welcomed, it seemed only logical to return. This also coincided with Maidstone Sports Cars acquiring all the rights to the Link-up Honda conversion and Hondaelise.com, where the kit was subsequently redeveloped and updated to its current specification. This seemed the ideal opportunity to show the Lotus community the latest developments on our conversion, and the chance to build the ultimate S1 Lotus Exige race car to meet to the LOT regulations. SELOC: Adrian came 13th overall in the championship last year and 6th in class despite a trio of wins. What were the main challenges which prevented him from being a championship contender at the end of the year? Andrew: For 2013 the way the points are allocated is being changed as looking back at 2012 the MSC S1 Exige and the Go Green Exige totally dominated the series with the number of race wins between them but then came nowhere overall! MSC continually pushed the envelope and developed the car as the season progressed. Something’s worked and others didn’t, but this is the way you learn and when working within tight technical regulations, minor changes can make a big difference. Our 3 DNF’s were all engine issues which we have learnt from and now developed the subsequent modifications which are incorporated into our 2013 car. To win it you have to finish and our 3 DNF’s cost us any chance of end of season honours. SELOC: We’ve already seen you’re moving to a sequential gearbox for 2013, where are you expecting this to provide the greatest benefits? Andrew: As competition at the front of the grid intensified over the season, it was decided that MSC would implement a full winter rebuild and upgrade program. Unfortunately this meant missing the end of season 6 hour race so we could get an early start on the work. 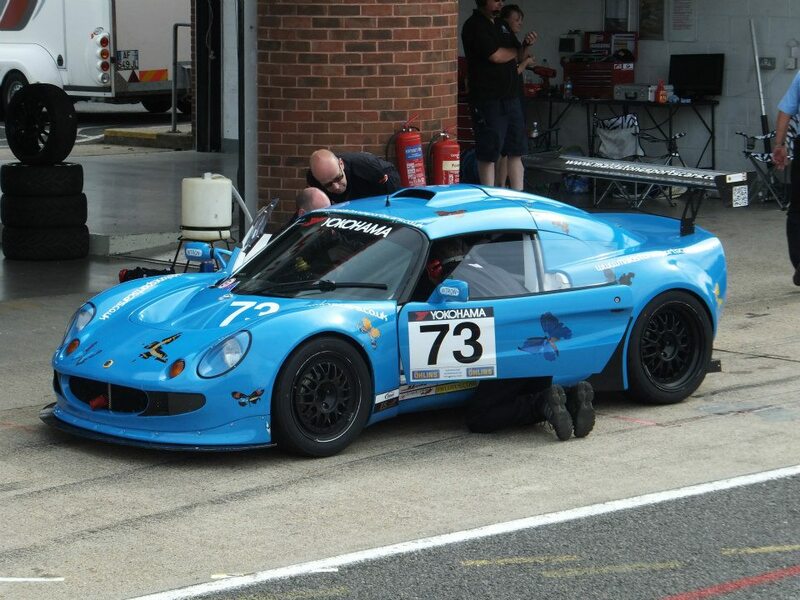 For 2012 Adrian had battled the Go Green Exige all season with their sequential gearbox and us with a standard road spec H pattern Honda gearbox with standard ratio’s. We may have had 6 gears in the box but only 3rd, 4th and 5th were of any use. It was decided that MSC would develop and fit a Sadev 6 speed sequential gearbox into our Exige for the 2013 season. We opted to keep the gear change system simple by retaining a gearstick and cable rather than the more complicated paddle shift. Now we will have 6 close ratio gears to play with and a proper plate LSD. This upgrade will give us the performance increase we need to stay at the front of the grid and as an aside we are now able to offer the Sadev sequential as an upgrade option for our Honda conversion, with 2 sequential gearbox kits already supplied and fitted. SELOC: What are your overall goals for the 2013 season? Andrew: Our aims for the 2013 season are quite simple: to put MSC at the front of the grid and for MSC to win as many races as possible and hopefully by the end of the season be in a position to be challenging for class and overall honours. SELOC: Besides the racing is there anything else exciting to look forward to from MSC in 2013? Andrew: MSC always have interesting projects underway. We are currently in the process of building our 200mph record breaking Honda powered Exige known as the Honda Exige Super 200. 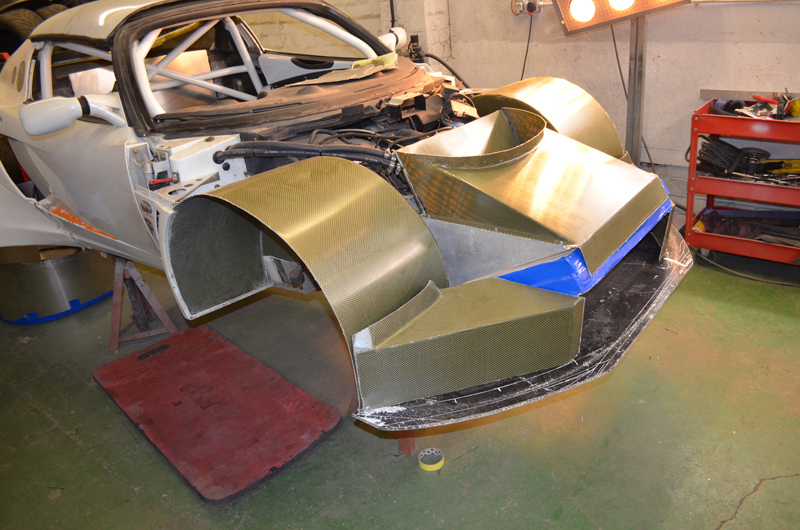 This is an ambitious project to produce the first genuine 200mph road legal Lotus Exige using turbo Honda power. All the work is being carried out in house and this is turning out to be one of the most intense engineering projects ever undertaken by MSC. We hope to have the car complete and ready for its record attempt later in the year. The other main news coming from MSC in 2013 will be the opening of its new workshop with its onsite purpose built MOT test centre incorporating the latest one man test operation technology. This has been a long time coming but will enable MSC to offer our customers a total one shop site. We’d like to thank Andrew for taking the time to answer our questions and wish the team all the best in the season opener at Snetterton this weekend.